With summer comes beach days, hiking, BBQs, etc! Basically summer is all about fun and food. Ok, maybe it's just about food for me, but I LOVE food... yes this fitness junkie loves to eat. Just in case you were wondering. [p.s. follow me on snapchat at tiarawasner for more adventure, food and life snaps]. 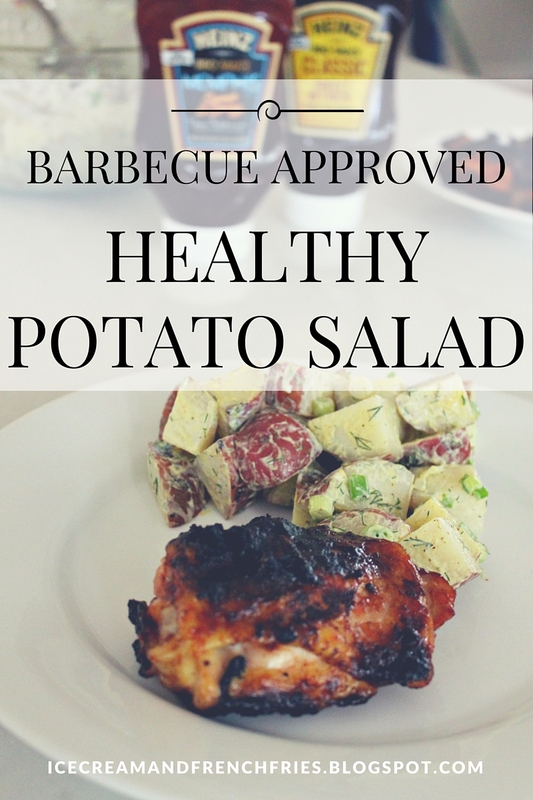 I've always loved putting a healthy twist on some of my favorites and today I'm making a 'healthyish' american BBQ classic, potato salad! What?! Yup, I'm getting crazy over here. Blogger Notes: If it's a rainy day or you're just looking for something different try making pulled pork using your crockpot and Heinz Memphis Sweet & Spicy BBQ Sauce or Heinz BBQ Classic Sweet & Thick! 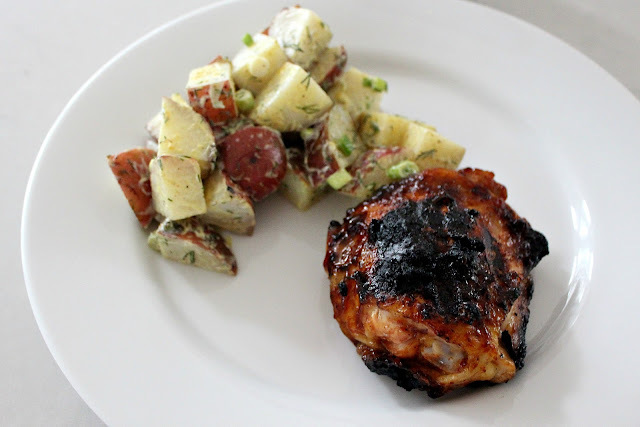 Ok, ok... now that I've shared what my BBQ spreads typically look like let's chat specifically about BBQ chicken and potato salad. When using BBQ sauce like Heinz Memphis Sweet & Spicy BBQ Sauce I personally prefer to use skin on chicken. Next, salt and pepper the chicken liberally, and massage the oil and seasoning over the entire surface of every piece. Grill for 15 minutes per side. Pro tip: set a timer so you don’t lose track! Next, brush bbq sauce over the entire surface of the chicken and grill an additional 5 minutes per side. 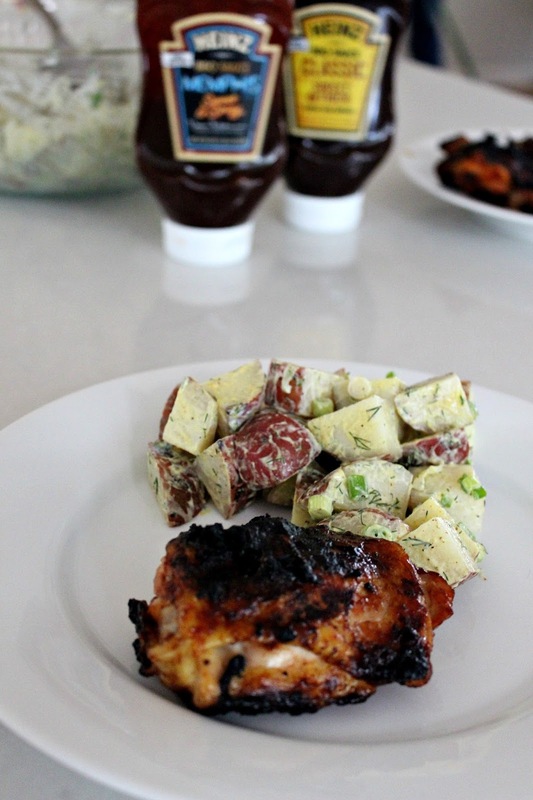 You'll want the bbq sauce to create a bark on the exterior of the chicken. Remove the chicken from the grill and let it set for another 5 minutes before serving. 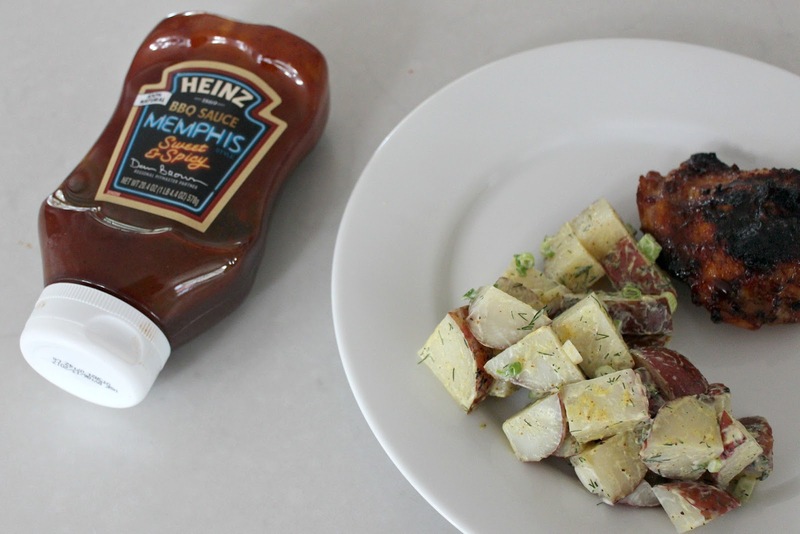 Enjoy, and don't forget to check out other Heinz BBQ Sauce recipes HERE! 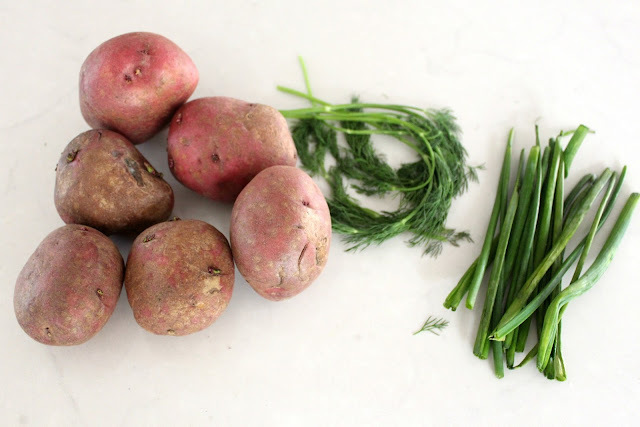 Add chopped potatoes and water [enough to cover potatoes] in a stockpot. Simmer on medium for roughly 20 minutes [try NOT to boil], until potatoes are fork-tender [cook longer if you like a softer potato salad]. Drain and cool for about 10 minutes. Pro tip: Cool quickly by spreading potatoes out on a baking sheet. 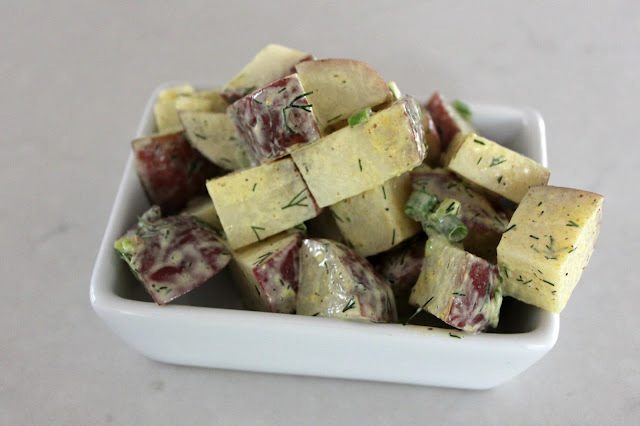 In a large bowl, combine greek yogurt, green onions, mustard, salt, pepper, and dill. Add potatoes to the mixture and toss until well-coated. Chill until ready to serve. Optional: Spice up with hard boiled eggs, bacon or blue cheese. What's you favorite BBQ side?